Is this the next big breakthrough in restorative dentistry? It is well over 60-years since Carisbrook Dental was established and over that long period of history we have witnessed many changes in dental care techniques, methods and materials. Nowhere perhaps has this been more noticeable than in restorative dentistry where we have constantly adapted our range of treatments to reflect the many developments that have been introduced. As one of Manchester’s leading dental practices we know we owe it to all our patients that we always remain at the forefront of progress and are constantly fully aware of new treatment opportunities. You can be sure that we are never slow to embrace positive benefits when they come along, which is why we are keeping a close eye on what could be one of the most exciting breakthroughs to be announced for many years – a ‘natural repair’ approach that could repair cavities by making teeth grow back! It is claimed that traditional fillings could become a thing of the past after a drug developed to treat Alzheimer’s patients was found to make teeth re-grow. Will this be as successful as is forecast? Well the truth is that we simply don’t know yet. What is certain though is that we will be monitoring the development closely and if it does ‘pass all the tests’ then we will not hesitate to introduce it into our restorative dentistry programme. According to reports that have been published the drug can stimulate dentine, which is the hard inner part of the tooth below the outer enamel coating. Tests have shown that by inserting a biodegradable sponge soaked with the drug into the tooth cavity, then sealing the cavity with a white glass compound (because the outer layer of enamel will not re-grow) the drug is claimed to stimulate the dentine to grow to fill the cavity while the sponge itself dissolves. The scientists behind this research also claim that unlike conventional fillings there is no risk of the new natural fillings falling out or needing to be replaced in the future. The prospects, we have to say look good, but until it has been fully tested and approved then of course it will not be available. If, however, it does gain medical approval then you can be sure that at Carisbrook it will definitely become part of our restorative dentistry procedures. Until then we will of course continue to offer our tried and tested teeth filling options that include white fillings as well as traditional silver fillings. If you require a filling or would like to discuss replacing existing silver fillings with the more cosmetically attractive white fillings then please contact us. 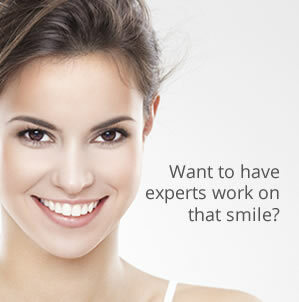 You can arrange a Free Consultation by calling us on 0161 951 7295. You can also contact us by using the online form on our Appointments page.